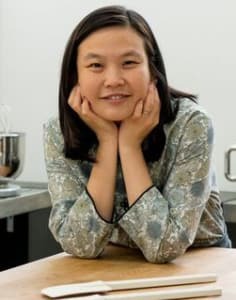 Famous for her macarons, Singapore-born Loretta Lui owns the On Café patisserie and cookery school in Clapham. On Café is a small, family-run is an Asian style café in the heart of Clapham serving dim sum and French patisserie. Head Chef Loretta Lui started the business in 2010 with a background in Michelin starred restaurants such as Raymond Blanc’s famous Le Manoir aux Quat’Saisons. She has also taught classes at Christophe Novelli and Raymond Blanc’s cookery school. Loretta believes that cooking is a science and that only though experimenting with how flavours change when they meet other ingredients and undergo temperature changes can we learn to be good chefs. Loretta’s mantra is that practise makes perfect and the best learning comes from the mistakes you make. Her classes in the heart of Clapham are a great way to introduce you to classic Chinese techniques and pastry making. Loretta offers numerous cookery classes for aspiring chefs – from the art of macarons to balancing the delicate flavours of dim sum. *Just a stones throw away from Clapham Common. Overpriced & slapdash for what it is. On a table between the kitchen & the cafe with music blaring. Luckily there were only 3 people altogether so we could make our macarons quite quickly. Whilst it was interesting I'm still waiting for the recipe that was promised over 2 weeks ago. Try elsewhere. The class was excellent but instead of just learning about one type of filling for the dimsum it would have been great if there was two options. Really knowledgeable teacher which meant we all learnt a lot. Really fun. Informative. Just wish we'd all been given an opportunity to wash our hands before we started cooking!